In 1933, Adolf Hitler became Chancellor of Germany. A year later, all parties but the Nazis had been outlawed, freedom of the press was but a memory, and Hitler’s dominance seemed complete. Yet over the next few years, an unlikely clutch of conspirators emerged – soldiers, schoolteachers, politicians, diplomats, theologians, even a carpenter – who would try repeatedly to end the Fuhrer’s genocidal reign. This dramatic and deeply researched book tells for the first time the full story of those noble, ingenious, and doomed efforts. This is history at its most suspenseful, as we witness secret midnight meetings, crises of conscience, fierce debates among old friends about whether and how to dismantle Nazism, and the various plots themselves being devised and executed. Orbach’s fresh research takes advantage of his singular skills as linguist and historian to offer profound insight into the conspirators’ methods, motivations, fears, and hopes. Though we know how this story ends, we’ve had no idea until now how close it came – several times – to ending very differently. The Plots Against Hitler fundamentally alters our view of World War II and sheds bright – even redemptive – light on its darkest days. "Magisterial. Networks of Resistance demolishes myths about the German resistance on both the left and the right. It is easily the best book on the subject since Peter Hoffmann’s pioneering work. 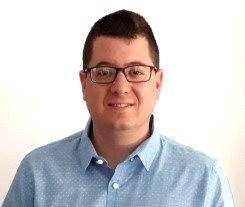 That the book is written by an Israeli makes the moving narrative all the more poignant"
" Danny Orbach brings a fresh and passionate eye to this powerful and often heart-breaking story. He has found some fascinating new sources, and his retelling of the officers’ conspiracy moves beyond the old orthodoxies of hagiography or condemnation to show the real complexity of these men and the terrible dilemmas they faced. Orbach’s painstaking archival research allows him to makes some important corrections to the record, notably in his defense of Henning von Tresckow. This is an account of the German resistance for the 21st century, and anyone interested in the Third Reich will need to take note of what Orbach has to say." "Networks of Resistance is an important, original treatment of German moral, political, and military resistance to Nazism that culminated in the Valkyrie plot. Orbach’s wellwritten, deeply-researched, and engaging study presents fresh insights into an old tale of German resistance to Hitler. It also points to broader, contemporary concerns about the ways military revolts and officer conspiracies operate in secret and in practice. It should therefore interest anyone concerned with political and military history and the dynamics of regime politics and stability, formation and conduct of conspiracies, and the origins of military rebellions." "Danny Orbach's reevaluation of the conspiracy against Hitler is so refreshing because it overcomes the simplistic presentation of the conspirators as "Knights in shining armor", goes beyond current moralistic debate, and does away with some failings of traditional research. The book is an answer to the basic question: what does the story mean for us, as readers of history and citizens of the twenty-first century? Orbach's understanding of the nature of resistance under totalitarian conditions revolves around the concept of networking. For the lone conspirator unexpected circumstances are almost impossible to work around, he says. " "A robust history of the German conspiracy against Nazism. Orbach (History and East Asian Studies/Hebrew Univ. of Jerusalem) combines intellectual inquiry with thriller dynamics… A dense but gripping look at a historical counternarrative that remains relevant and disturbing "
"Likely to become the definitive general history of the subject and the starting place for all future research, Orbach’s work is a fascinating story of courage and an excellent study of the struggle of individuals to act morally and honorably." "..a definitive history of the anti-Nazi underground’s efforts to overthrow the Nazi dictator… a riveting read well worth picking up." "With the precision of an historian and the tense narrative of a spy story, Danny Orbach chronicles the lives of the protagonists of the anti-Nazi conspiracy, initially Nazis who became heroes. […] They were mostly conservatives and high ranking army officers, not dangerous "Reds"." " The Plots against Hitler (Uccidere Hitler), the book of the Israeli historian Danny Orbach.. adds new elements and describes a Wermacht in which dissent was manifested cautiously since the beginning of the regime and grew with time until it became a dense network made up of senior members of the armed forces." 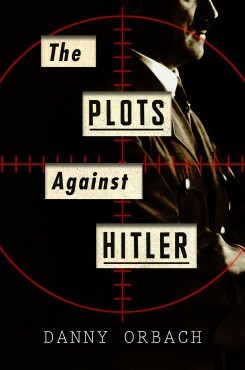 " The Plots Against Hitler deserves equal footing with the most excellent books written on the Nazi era: The Rise and Fall of the Third Reich, The Rise and Fall of Hitler, The Nightmare Years, The Coming of the Third Reich, The Order of the Death’s Head, The Nazi Doctors, Inside the Third Reich, Justice at Dachau, The Last Days of Hitler,A World Without Jews, Adolf Hitler, Survival in Auschwitz, Auschwitz: A New History, The Years of Extermination,Hitler, the Germans and the Final Solution, etc. And it stands out due to its rare perspective, since we are used to reading about Nazi Germany with an image of almost unanimous fanaticism and Hitler worship in our minds. Comparable books from this perspective include Philip Freiherr Von Boeselager’s and Florence Fehrenbach’s book on the Valkyrie plot, as well as Hans Gesevius’ account. " "Orbach tells a vital story and tells it with unflagging vividness. "